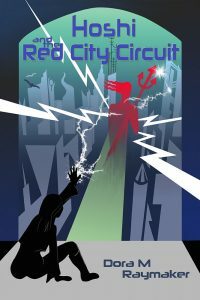 Paperback and ebook available from autpress.com; free ebook with paperback purchase! Also available in paperback and Kindle from amazon.com, or ask at your local bookstore. “Heat Producing Entities” is a short story set in the same universe as Hoshi, only decades before Integration Law, and on a colder world. 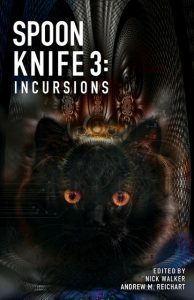 It appears in the anthology Spoon Knife 3: Incursions. Order direct from Autonomous Press (free ebook with paperback), from Amazon, or ask your local bookstore to order it and carry it! Butterflies and Thunder – Short story winner of 2012 Sledgehammer 36-hour Writing Contest (Individual category). Pulped-Free is a cyber-noir space pirate adventure set in the early 26th century. It takes place about 25 years before Hoshi, roughly around the same time as “Heat Producing Entities.” It loosely explores some disability rights themes in between the pulpy cybertech, sentient space ships, and smuggling and gives me an excuse to draw. Check it out at pulpedfreedom.com. Old Change.org Autism Issues archive from 2008.